You need to provide more details of what you want. 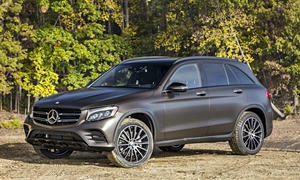 Otherwise just go to you nearest Mercedes dealership and and see what they have for under $40k! "Performance" "handling" expectations differ based upon what you are currently driving. As the owner of an AMG E63S, my expectations may be different from yours. That said, you should be able to find an AMG CLA 45, GLA 45 or an AMG C63 (4-5 years old) that meet your performance requirements. However, AMG's are not quiet nor soft riding. I agree that you need to be more specific in your desires. Many people feel that the non-AMG cars have strong accelleration and good handling. Mercedes has a very good certified car warrantee and I would recommend that you purchase a certified car as AMG's can be expensive to repair due to thier unique parts. 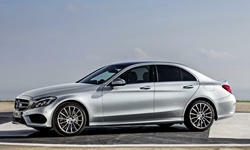 New C300 is selling like anything and it would be good choice in case you don't want a used, though fencier, car. 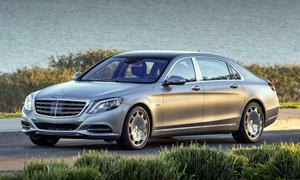 I'd get a new C300 or C400 over an old S-Class because it'll hopefully run longer and it's a fresher design. We only know that "Mercades favorite car." Just stay away from the chintzy CLA and GLA.